Adding to the excitement of the innovation, Mr. Harsha V. Agarwal, Director- Emami Ltd said, “The deodorant category in India is a highly saturated and cluttered market. With the presence of multiple players, it is becoming increasingly difficult to break through this clutter and stand out. HE as a brand has a strong legacy of differentiation from the very beginning. 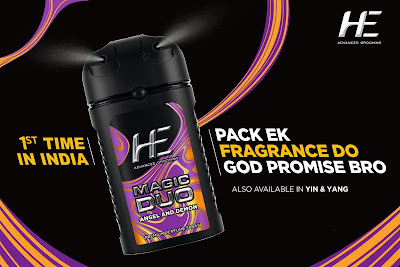 This time, we found through our consumer research that there is an increasing dual usage trend wherein 1 in 5 users currently use 2 or more Deos on a regular basis just from the need of variety and the urge of not smelling the same every time.